The Berko Writers’ Workshop is repeating their (sold out!) inaugural writing course, starting on April 29th. Sign up for six weeks of professional tuition and supportive feedback – and build a network of local writing friends while you’re at it. There’s also a literary agent Q&A in week six. 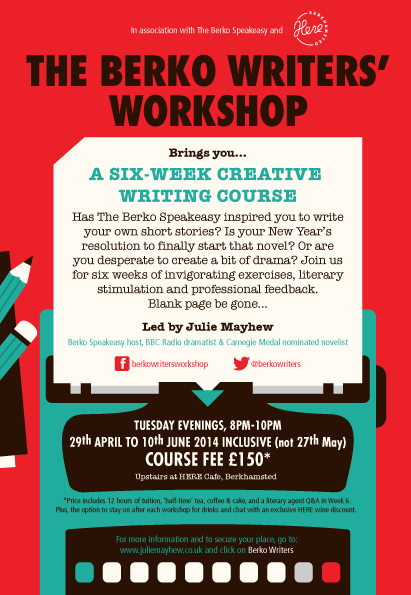 Your course tutor is Julie Mayhew, novelist, radio dramatist and director and host of Berkhamsted’s celebrated short story night The Berko Speakeasy.